Home Articles Renewables and Climate Change – is the RMA out of step? Renewables and Climate Change – is the RMA out of step? Climate change is one of the most complex and important issues of our time. While it is at the forefront of the Government’s agenda, further work is required to bring New Zealand’s legislation up to speed in order to achieve the Government’s goals. In particular, consideration needs to be had to whether the Resource Management Act 1991 (RMA) is sufficiently supportive of a transition to a renewable energy future, whether the National Policy Statement for Renewable Electricity Generation 2011 (the NPS-REG) needs to be refreshed or overhauled, and perhaps whether it is time for a review of the position under the RMA in relation to fossil fuels. Questions about the efficacy of the NPS-REG were discussed in an informative workshop at the 2018 RMLA Conference, with a presentation from two experts from the electricity industry (Humphrey Tapper – Meridian Energy and Dhilum Nightingale – Transpower) followed by a useful and enjoyable panel discussion. This brief article first looks at the broader context for this discussion, identifies some of the shortcomings of current RMA settings, and reports on some of the themes that were discussed at this engaging session. New Zealand currently has a goal of reducing New Zealand’s emissions to net zero by 2050, with these emissions targets to be set in law through the introduction of the Zero Carbon Bill and the establishment of an independent Climate Change Commission by July 2019. . The Green Party and the Labour Party have agreed to request the Climate Commission to plan the transition to 100% renewable electricity by 2035. Work is also being undertaken by the Ministry for the Environment on strengthening and improving the operation of the New Zealand Emissions Trading Scheme (ETS) so that it helps New Zealand meet its climate change targets of 5% below 1990 levels by 2020, 30% below 2005 levels by 2030 and 50% below 1990 levels by 2050. Amendments to the Climate Change Response Act are to be progressed through Parliament in late 2019. With climate change and renewable energy at the forefront of the Government’s agenda it should be considered whether the RMA is sufficiently enabling of the Government’s goals. While reference is given to the effects of climate change and the benefits of renewable energy in s 7, and renewable energy can be considered under ss 70A and 104E, the effects of fossil fuel use cannot be considered under the RMA. This is presumably because other mechanisms such as the electricity market and the ETS are seen as sufficient instruments to manage CO2 emissions. It remains a noteworthy shortcoming that renewable energy and climate change are not identified in the RMA as matters of national importance, notwithstanding the critical status given to this issue elsewhere in the national policy mix. This issue was at the forefront of the recent Blueskin Bay decision. The Court stated that while the NPS-REG directed decision makers to “recognise and provide for” the benefits of renewable energy activities, it did not follow from this that such benefits were necessarily to be given greater weight than the matters addressed in the balance of s 7 of the RMA – the statutory planning documents would indicate the weight to be given to those at times where there were competing matters. The issue in Blueskin however was that the planning documents hadn’t implemented the NPS-REG and so when weighed against the amenity and landscape effects, which were provided for in key policies of the planning documents, the Court considered the application should be declined. While the Judge could presumably have made an adjustment to allow for this shortcoming, there was no compunction for her to do so. Careful consideration also needs to be given to whether the NPS-REG needs to be refreshed. Despite being the leading policy document on renewable electricity generation, it has on occasions been described as a weak, non-directive document, because of its lack of guidance to local authorities on how to implement its policies. The importance of and opportunities associated with these instruments has been highlighted in recent case law. 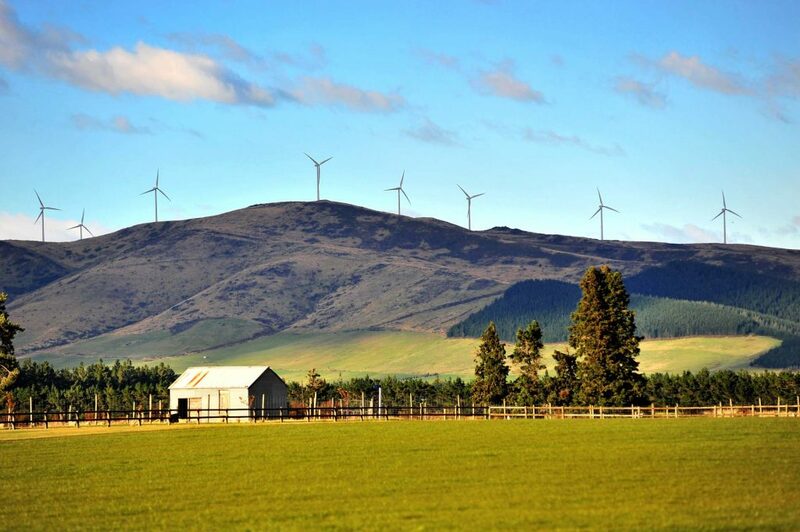 […] central and local governments to look closely at current law and policy and to create opportunities to establish a more diversified and sustainable system of electricity generation in New Zealand. This case has been a stark demonstration of the lack of strength in national and local policy and planning. If stronger direction is not urgently provided, New Zealand will fall well short of its renewable electricity targets. If the NPS-REG is to lead the way in achieving the goal of Government to have 100% renewable energy by 2035, the provisions should be amended to ensure the use of renewable energy is sufficiently encouraged, while activities which will negatively impact on these goals are avoided. Reverting to the originally recommended version of the NPS-REG would be a useful starting point, rather than continuing with the diluted and non-specific NPS we presently have. Is it time to review the position on fossil fuel emissions under the RMA? The power to consider the effect of greenhouse gas emissions on climate change when making rules in regional plans or determining air discharge consents is removed from regional councils, essentially because the use of fossil fuels is so embedded and important that managing its use are better left to central government rather than ad-hoc local government regulation. There is still merit in this reasoning, particularly as local government and the Environment Court do not have access to the policy and economic levers available to central government. If the position under the RMA is reviewed and decision makers are given the power to consider the effects of fossil fuel emissions on climate change, the role fossil fuels play in the energy sector needs to be acknowledged, as New Zealand has a high demand for energy. Demand will continue to increase with population growth and as New Zealand begins to rely more on electricity generation (which is subject to the variability of hydro, solar and wind). With the national economy depending more on electricity as opposed to a wider range of energy sources, the resilience and reliability of the system becomes even more important. Fossil fuels will need to be retained as an important part of our energy mix to ensure security of supply and to make use of existing assets and infrastructure. The importance of this must be acknowledged in policy and regulation despite the political challenge its ongoing use may pose. At the conference session, spatial planning of the available wind resource was mooted and comparisons were drawn with the successful approach taken to marine spatial planning in some areas. In my experience generators tend to be protective of high wind locations until they are ready to be advanced. Such maps can be a crude indicator of what is actually workable in reality, and may lead decision makers into a false sense of security that there is an abundant resource available, so no single application is of significance. In addition, technology is opening up sites that may not previously have been thought of as useable. Getting widespread agreement between generators, landowners and various sector interests about where windfarms can actually locate, particularly within a realistic timeframe, seems very unlikely. It was noted that outstanding landscapes could be acknowledged as no go areas. There would be merit in policy steering intrusive development away from outstanding landscapes – although in my experience generators will usually try to avoid these where they are appropriately identified in planning instruments. It was also suggested that areas of significant biodiversity should be no go areas. While this is laudable in theory, with a development the size of a utility scale windfarm there are often numerous ecological issues in play and requiring careful management. An overly overt restriction could prove unduly difficult, especially in light of the weight now being afforded to policy. This tension and the significance of both protection of biodiversity and the importance of new renewable generation, highlights the need for a level playing field to enable a balanced assessment, rather than a blanket protective approach that places too high a hurdle in the way of otherwise sensible (and increasingly necessary) renewable energy development. Perhaps one of the most thought provoking comments from the session was made by Keith Turner. He noted that it is difficult for a rational investor to make a decision that now is the right time to construct more renewables, in the face of ongoing downward pressure on generation costs as a result of changing technology (in other words generation is getting significantly cheaper, as technology (particularly wind) improves). This is a reversal of the historical assumption underpinning investment in new generation – that the cost of new generation will rise. Ministry for the Environment <http://www.mfe.govt.nz/climate-change/what-government-doing/climate-change-programme>. Confidence and Supply Agreement New Zealand Labour Party and Green Party of Aotearoa New Zealand, 52nd Parliament, 24 October 2017. Ministry for the Environment http://www.mfe.govt.nz/climate-change/what-government-doing/emissions-reduction-targets/understanding-our-targets. Ministry for the Environment http://www.mfe.govt.nz/consultation/ets. Blueskin Energy Ltd v Dunedin City Council  NZEnvC 150. In one notable case the writer was involved in it was described by the presiding judge as “motherhood and apple pie” – looks and sounds good, but lacking serious intent. Environmental Defence Society Inc v New Zealand King Salmon Company Ltd  NZSC 167. Resource Management (Energy and Climate Change) Amendment Bill Select Committee Report (82-2) (8 December 2003). Resource Management (Energy and Climate Change) Amendment Bill – First Reading, Hansard debate 5 August 2003. Transpower White Paper 2018 Te Mauri Hiko: Energy Futures at 16. Transpower White Paper 2018 Te Mauri Hiko: Energy Futures at 32. Trends in Urban Planning: What’s on the horizon for our cities?